Before you decide which home improvement project adds the most house value, do a little competitive research by finding out what features are popular with other homes in your neighborhood. If most houses in your neighborhood are about 15 to 20 years old but have upgraded kitchens with contemporary countertops, tile flooring, and stainless steel appliances, you'll net a better return if you invest in a minor kitchen remodel. 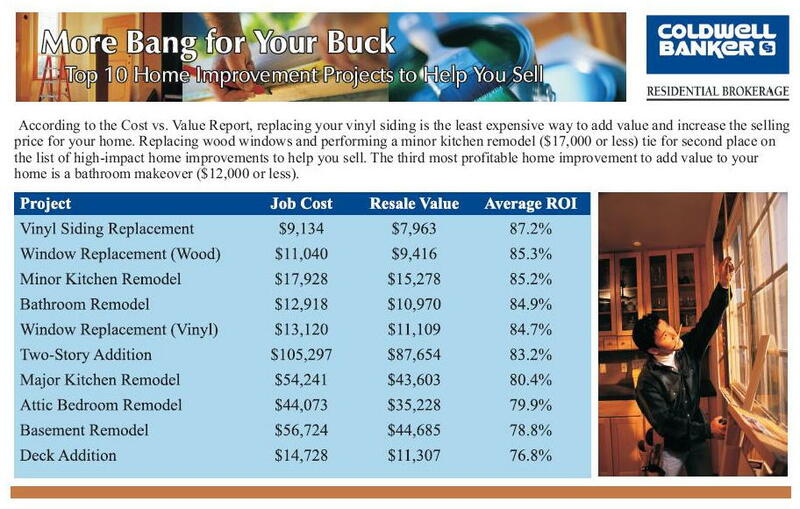 By knowing your neighborhood, you'll get a better sense of what projects are the best home improvement values for your dollar. And, be sure to ask me about Staging.